Life's tough enough for Jay Caldwell. He's trapped at military school, estranged from his stepfather, and brutalized by his sadistic headmaster. Things only get worse when he discovers he's a werewolf... that he's the subject of secret experiements by a ruthless techomantic mage... and that he and all his kind are pawns in a deadly scheme concocted by the werewolves' greatest enemies. 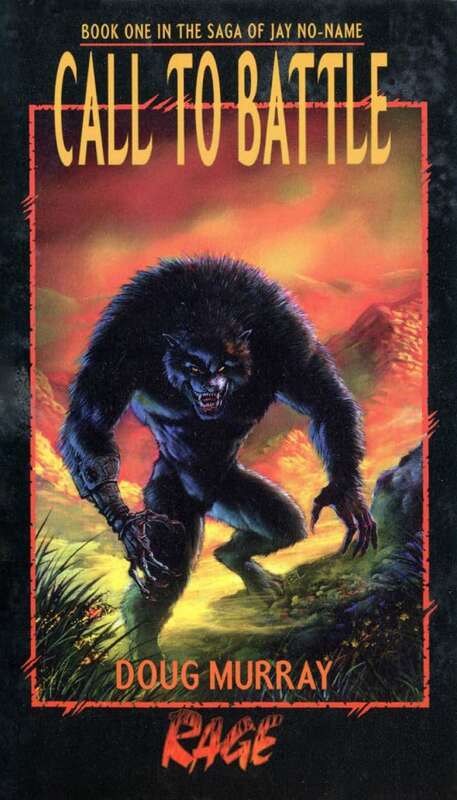 Call to Battle is a novel based on White Wolf's popular collectible card game RAGE and set in the World of Darkness. Call to Battle was originally published in 1996 and is now available in PDF format for the first time. I have this book from when it first came out and I have to disagree with the review given by heinrich K. This book reads more like the setup for a campaign with a story and I thoroughly enjoyed it. I really wished that their was a sequel but it never happened. Don't read it expecting it to change to way you see Werewolf just read it for the entertainment of the story. This title was added to our catalog on May 30, 2014.